Welcome to DrewKreviArt.com, my online porfolio where I can show some fun art and display my style and approach to design. As a freelancer I have taken clients from many different industries. Doing everything from product development to theme park conceptual art to children's publishing, I feel I've been fortunate to gain a well rounded skill set. Starting in the video game industry just out of college, I was grateful to pick up 12 years of experience as a concept artist, animator, game designer and UI designer. 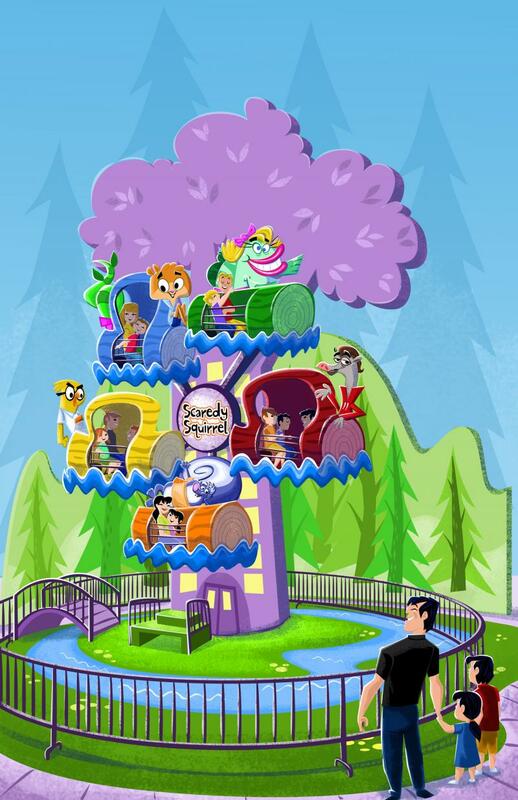 Concept art for theme park rides featuring Cartoon Network TV shows. Disney product development...for over 3 years I worked for Bob Olszewski Studios helping Bob with design and illustration on his PoketPals line, Gallery of Light line, Heirloom Boxes, and many other projects. Most of which were made exclusively to be sold at Disney theme parks. Gospel Light Publications, Inc. ...for 6 years I did a great deal of work doing children's story art, posters, book covers, VBS art, and much more! This was a great learning ground for me into children's publishing with a Christian perspective. Group Publishing, Inc. ...For Group, I did similar work to what I did for Gospel Light. Most recently, Group released a picture book I illustrated called I've Got This! 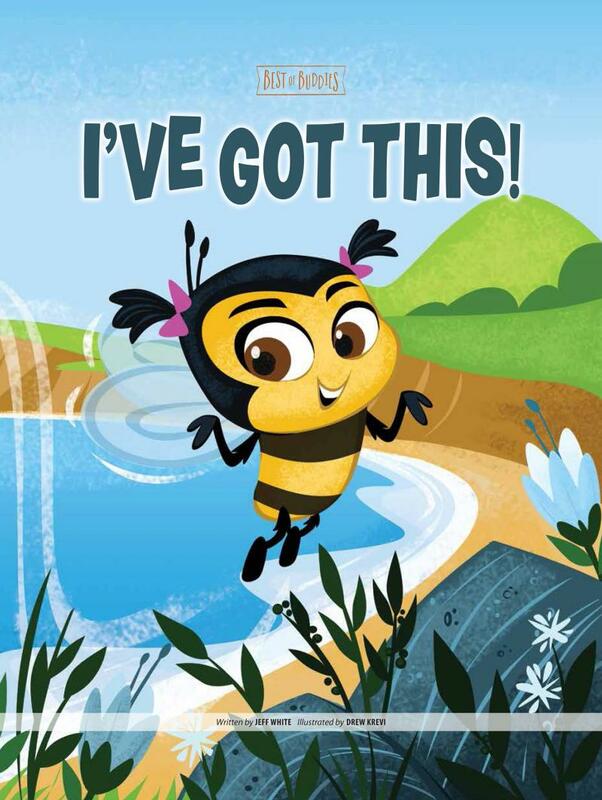 featuring Abby the bee, who shows all of her friends that God made her the way she is (small) for a reason! This book is now available on Amazon. ReThink Attractions...Here I did concept art for theme park development. 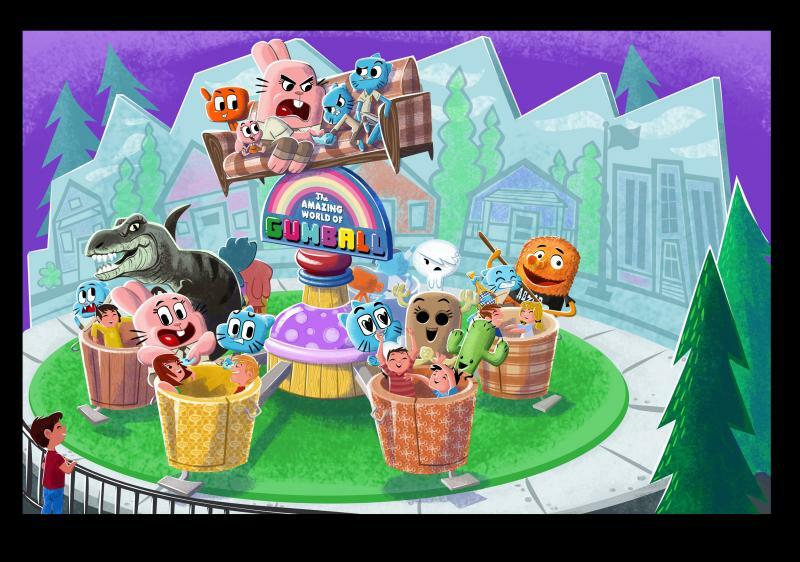 I worked on pieces showing rides featuring Cartoon Network TV shows; The World According to Gumball and Scaredy Squirrel. Also, I did in-park art of Marvel Comics characters as well. Cactus Games, Inc. ...I illustrated a Hasbro licensed game board and box cover for a new take on the classic Operation game. This one featured Noah's Ark and his animals...lots of fun! These are just some of my freelance clients. There are probably too many to remember!